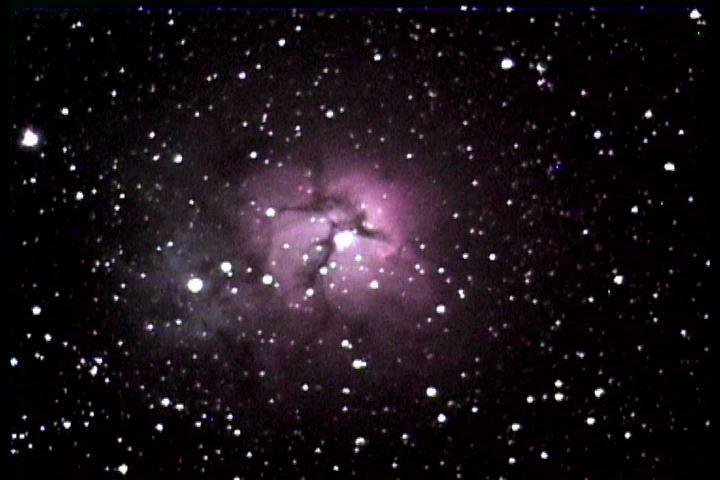 Trifid nebula from last summer. No processing. C8, MCH, 0.3fr. Color could stand a little tweaking. 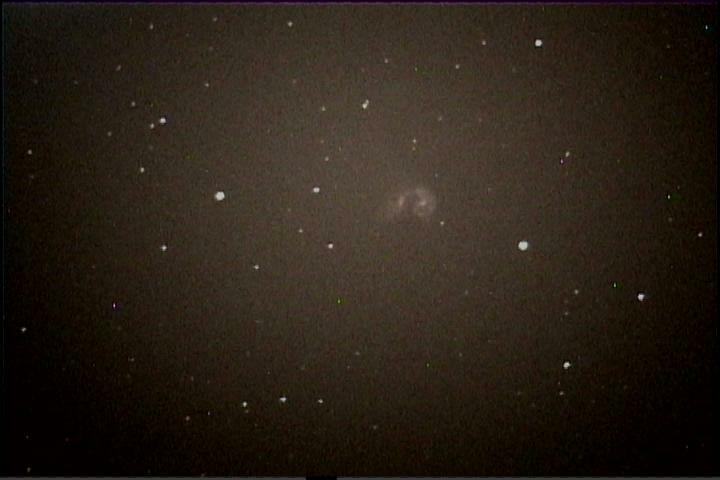 Imaging was in parallel with observing set up on TV in which color was much better. 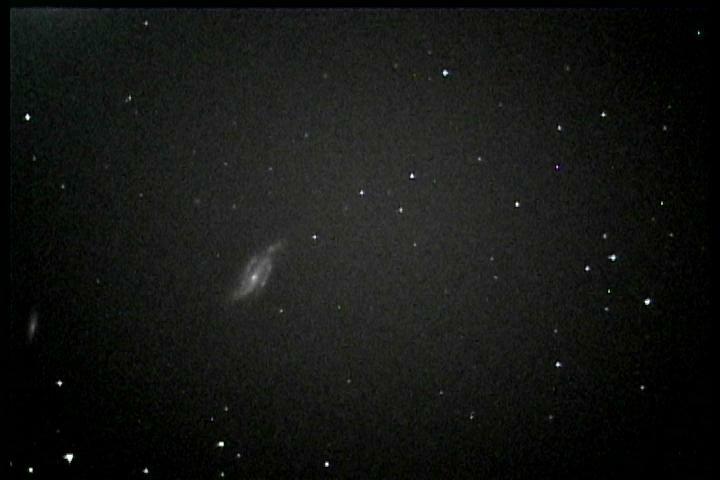 I usually concentrate on visual observing and don't worry as much about capture details which I can adjust later. Really nice look at the core region. Are they 2 second exposures? 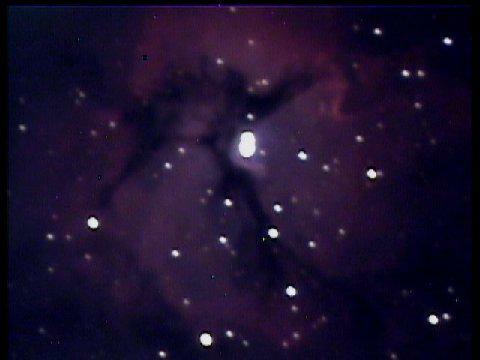 When I try to capture the full extent of M42 the core just gets overwhelmed. So for looking at what is going on, I settle for separate images. You can do neat tricks to combine short and long exposures, but I would rather not spend the time. 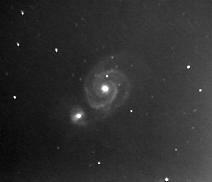 Here is a 12 second single frame unprocessed image of the lagoon nebulae. This is one that I always stare at for a while. C8, .3 fr, avermedia TV cardbus. The live display always looks better than the simgle frame captures. I used the AP 140 with the Mallincam and FR. 14sec. I adjust the camera setting (AGC) and change the gamma some, to keep the core from blooming. We've seen an assortment of bright objects. 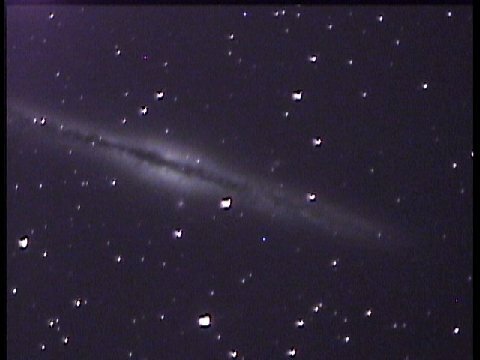 Here is a less prominent, but really neat object, NGC 891. 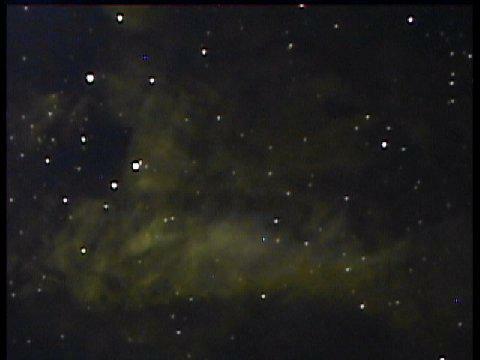 C8, MHC, .3 fr, single frame, no processing, captured with aver TV cardbus. 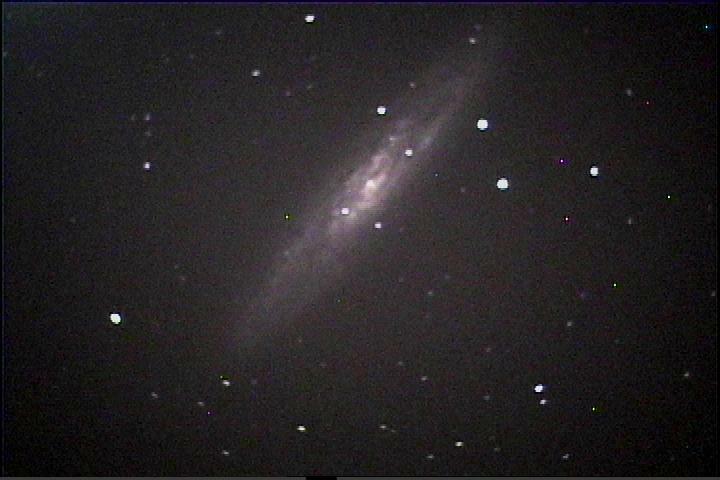 And Ngc 253. This usually shows up with a faint reddish hue. 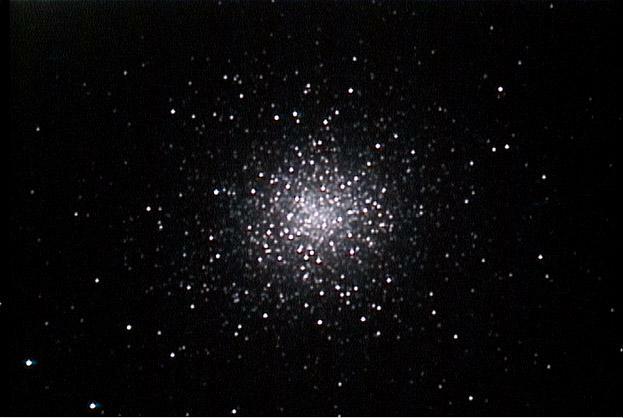 And NGC 4038/39. There seems to be an endless supply of these exoctic objects. The four preceeding images are single frame untouched 12 sec exposures. Here's a few shots taken with a 30" F/4.5 and a MallinCam Color Hyper with MFR-3 Focal reducer and 15mm spacer. They all looked better on the monitor than what I captured on my laptop with a TV card. I realy need to figure out a better way to capture images. This is all pretty new to me. Wonderful detail. 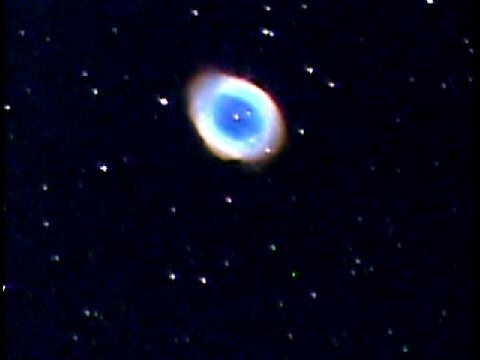 I've never seen the central star stand out so well. 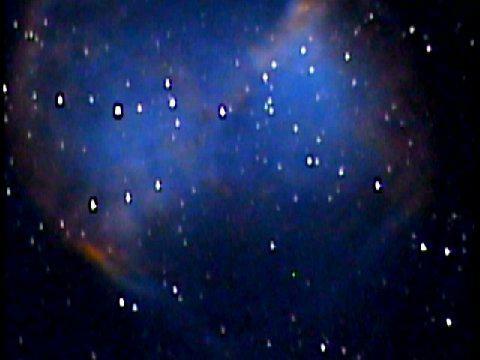 Do you know whether the blue core is O3 as in the case of m27. I share your frustration with the captured image being of lower quality than the monitor view. I wonder if the information stored when you capture the image is still there to display if you have the right display device. My live crt image is always better than any reproduced image. 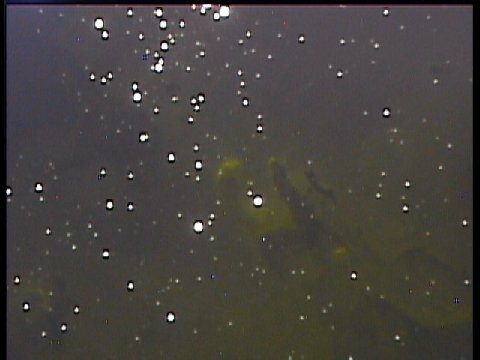 It would be interesting to find some way to use the captured image to regenerate a video image that could be displayed on the original monitor to see how much has been lost. I wonder (I wonder a lot) what your equivalent aperture is. I have wondered if hooking up a CRT monitor to my laptop might result in capturing a better image???? Image from a Stellacam EX and R200SS telescope. 2.You qualify as the first astroimpressionist. 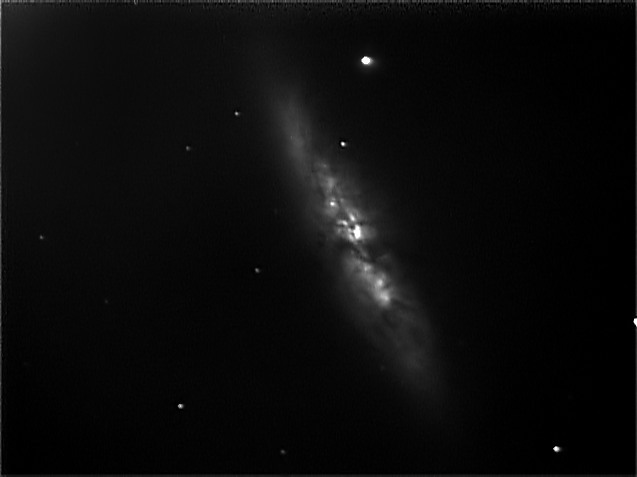 Image of M 2 in Color with MallinCam Hyper PLUS Color, 14" ARC F/8. 2 Seconds integration. Wow! exquisit detail. That is amazing...2 seconds? 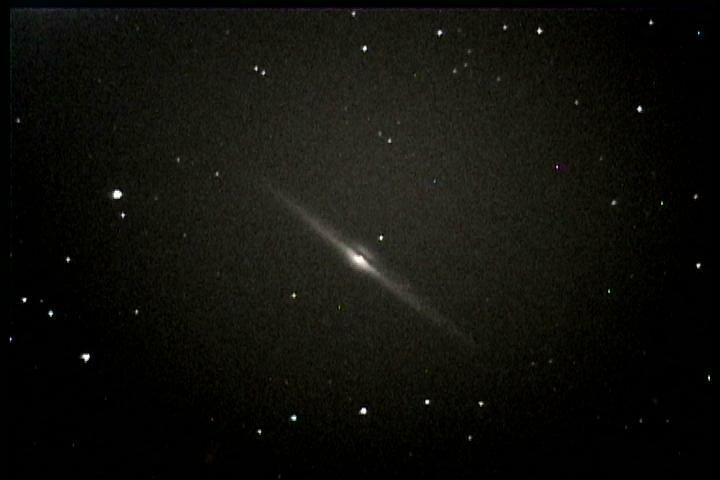 That is M 82 isn't it? 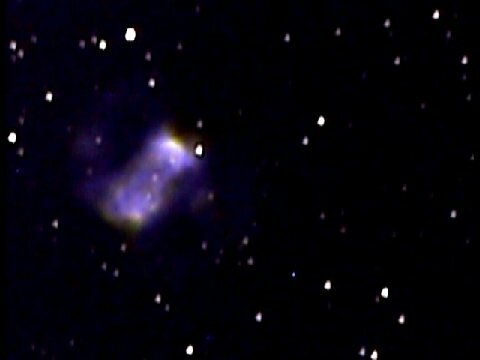 Very nice shot, whats the object? Sorry, yes it is M 82. PLEASE don't enter "post-processed" or stacked images in this forum. There is a specific imaging forum and a gallery for that purpose. We want to keep images in this forum to JUST what one sees when using their AVA devices.